Meetup is a great platform for organising and attending meetings. I joined quite a lot of them and thoroughly enjoy most meetings. how big cloud data needs to be integrated and ‘normalised’ so that it can be analysed. 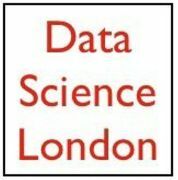 Data Science London have their own website here. This entry was posted in Creative Concepts, Data Science, Scientific Theory and tagged Databases, England, Facebook, London, Maps and Views, Meetup, Teradata, Travel and Tourism. Bookmark the permalink.